A lot of the time, technology gets a bad rep when it comes to studying, especially when it comes to using smartphones and tablets. They are deemed as being distracting, mind numbing and a cause of stress and anxiety – none of which bode well with productivity. However, I’m here to defend the use of technology when studying, outlining my favourite five apps to use when I’m getting into the ~ study zone ~. First and foremost is the university’s own MyNottingham app, an essential for all of your university needs. By logging into the app, you will be able to see your timetable (both weekly and exam), campus maps and even your emails. So, whether you want to find information in a hurry, check last minute where your seminar is, or simply want to be part of the UoN community, the MyNottingham app is a necessity, helping you to make the most out of your time at university. GoConqr is an app that enables you to create a myriad of resources based on your learning needs and style. With millions of users producing resources, not only can you create your own learning materials, but you can access the existing collections of others. From Economics to Latin, GoConqr can help you find resources needed to ensure that you ace your exams. Whether you learn best from mindmaps, quizzes, notes or slideshows, GoConqr is a fully adaptable and immersive online revision aide. Likewise, the online format means that, so long as you have an internet connection, these materials can be accessed on the go – there’s pretty much no excuse not to revise (sadly). Headspace transforms your smart device into a personal meditation guide, perfect for learning to live a mindful life. Created by Andy Puddicombe, a Buddhist monk, and Rich Pierson, the app seeks to provide people with the benefits of mediation on an anytime and anywhere basis. With resources on mediation for work, sleep, focus, stress and anxiety, Headspace has plenty of activities required to deal with issues that may arise at university. Sessions range from three to ten minute chunks and are narrated by Andy himself, causing them to be easy to follow. Throughout these sessions, you are taught how to focus on your breathing and get in touch with your inner self. To make this sound less wish-washy, essentially you are being encouraged to evaluate your own feelings and fulfillment. For people who are skeptical about getting into mindfulness, Headspace is certainly the place to start, with it being concerned with relaxation rather than jargon. Ok, I know that this is a controversial one, and that not everyone enjoys working with background noise. However, I am one of those people who cannot, strangely, work in complete silence. To keep myself focused, and to minimise the tendency for me to write out lyrics into my essays, when listening to music I stick to more instrumental based songs, and no that is not necessarily classical. Despite this, the recent introduction of podcasts to Spotify means that most of the time, this is what I’m listening to on the app. Like having a TV on in the background, I find that putting on a podcast gives you the appearance that you aren’t revising on a solitary basis. Consequently, I enjoy listening to chatty podcasts that don’t require investment, with the background lull of the conversational voices providing me with the false sense of collectivity that I need to get work done with. Somewhat counteractive to the purpose of this post is Forest. For those times in which you just cannot focus and need to put your phone down, Forest is the kick up the backside that will get you putting your all into your work. The concept is simple: you open the app, a tree begins to grow whilst the app is open and, if you leave the app, the tree will stop growing. As the name suggests, the aim of this is to grow a forest, acting as a visual representation of the time you’ve spent focusing on things outside of the screen regulated world. If this notion of planting trees to visualise your productivity, Forest is partnered with the charity, Trees for the Future. As a result, real trees are planted on the back of the app, with users spending virtual coins (earned through being focused) to create orders of planting. So, in the process of getting work done, you can contribute to a greener environment. It’s a win-win, really. 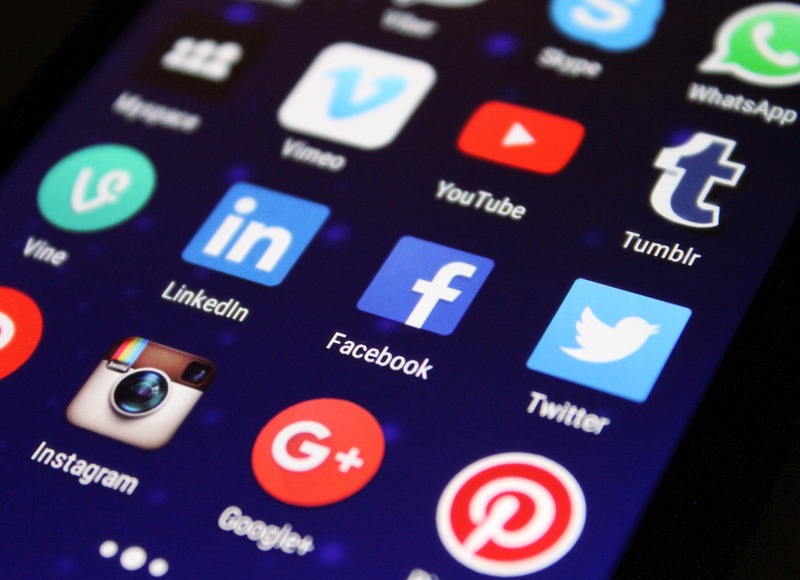 I hope you’ve found some of these apps interesting when it comes to enhancing learning… If you have any more suggestions, please mention them in the comments – I’m always on the look out for a new app to try!